My palate prefers a drink with only one type of alcohol (we could get into the semantics between what constitutes a “cocktail” and what constitutes a “mixed drink,” but I would need a few of either to start that conversation), so while that’s not to say I don’t enjoy margaritas and other drinks that do have multiple alcoholic ingredients, I generally like to stick with one spirit at a time. As such, I really appreciate the Dark and Stormy, which consists of rum, ginger beer and in the U.S. at least, a lime wedge. 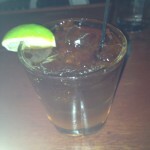 I have found the more simple a drink, the better it is, so it’s not surprising that Dark and Stormys are one of my new favorite drinks, but they are always much better when made at a real cocktail establishment that has quality rum and real ginger beer on hand. Enter The Innkeeper in Seattle, an amazing find in Belltown we discovered on our last trip. It has such a cool, historic yet modern vibe, I can say that we would definitely be regulars if we still lived there. The theme is sort of refined-Caribbean, like where the Royal Navy would have gone when stopping off in Tortuga (that might be slightly overstating it, but I like Pirates of the Caribbean). The drink menu is fairly traditional in terms of Caribbean favorites, and we had both the Fleur-de-Lys and the Dark and Stormy. Given my predilection for single alcohol drinks, I was a big fan of the Dark and Stormy, which featured Gosling’s Black Seal Rum, Regatta’s ginger beer and lime. It was the perfect mix and I highly recommenda trip to check it out if you are in Seattle but want a drink that reminds you of better weather elsewhere. In other good features, the food looked amazing, but as we had already had three+ meals (as I have mentioned, the food in Seattle is so good, it is worth a fourth meal, at least), we just went for the sopapillas, which came with the best honey. 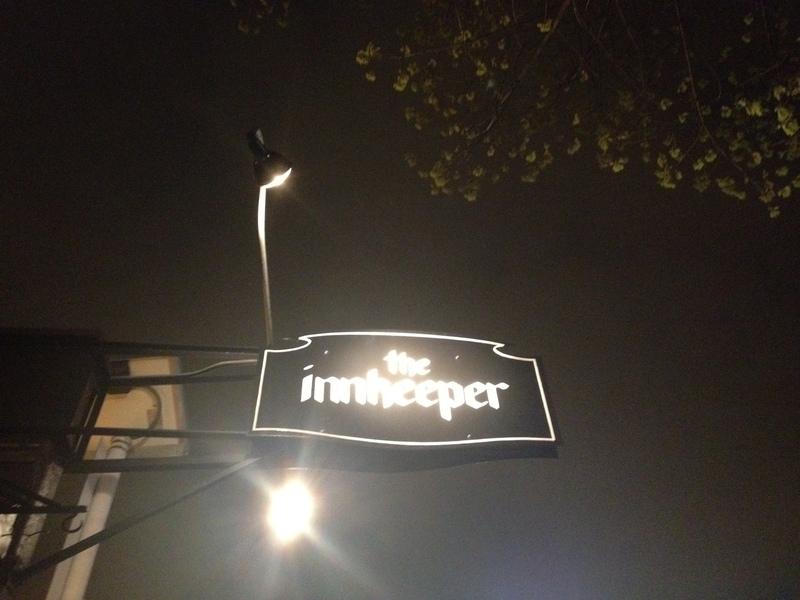 Sopapillas are hard to find, especially in the northwest, so another great reason to try The Innkeeper.